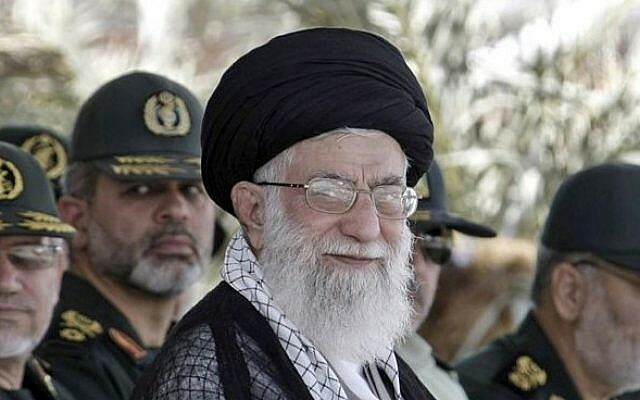 Iran’s Supreme Leader said American officials are “lying” when they say they are not seeking regime change in Iran, and derided the notion that Iran would reduce any of its “defensive capabilities” — an apparent reference to negotiations over its nuclear program. “American officials tell our authorities at talks that they are not after regime change in Iran. They are lying because they won’t hesitate a moment if they had the ability to do so,” said Ayatollah Ali Khamenei on Saturday, according to AP. Khamenei also urged officials not to pin hopes for economic recovery on the sanctions relief from a landmark deal reached with world powers on Tehran’s nuclear program. He called on critics of the interim nuclear deal achieved on Nov. 24 in Geneva to be fair and give time to President Hassan Rouhani to pursue his policy of engagement with the outside world. 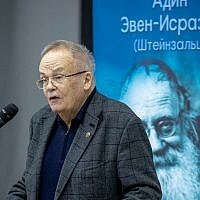 “The only solution to the country’s economic problems is to employ (Iran’s) infinite domestic capacities, not to pin hopes on the lifting of sanctions. 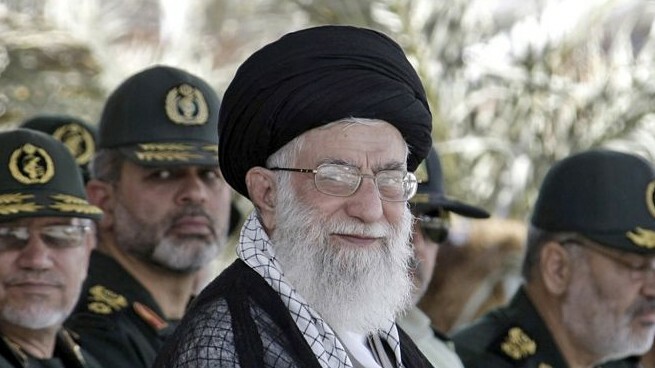 No expectations from the enemy,” Khamenei told army officers in Tehran. Khamenei has given his blessing to Rouhani’s outreach policies. But he also has held to the line that the United States is fundamentally Iran’s adversary. The deal is the centerpiece of Rouhani’s policy. Iran on Jan. 20 stopped enriching uranium to 20 percent and started neutralizing its existing stockpile of that grade — just steps away from weapons material — in order to fulfil commitments reached under the interim deal. The US and the European Union also lifted some sanctions — blamed for a sharp devaluation of the Iranian rial over the last two years — in response to the Iranian moves. The currency has recovered somewhat since Rouhani took office last summer. Under the historic deal, Iran agreed to halt its 20 percent enrichment program, but will continue enrichment up to 5 percent. It also will convert half of its stockpile of 20 percent enriched uranium to oxide, and dilute the remaining half to 5 percent. In return, the US and the EU simultaneously announced the lifting of sanctions on petrochemical products, insurance, gold and other precious metals, auto industry, passenger plane parts and services. They also plan to release $4.2 billion Iranian assets of oil revenues blocked overseas, in eight installments over a period of six months. The first installment of $550 million was provided to Iran on Feb. 1, according to Iranian officials. The interim Geneva accord will last for six months as Iran and the six-nation group — the five permanent members of the U.N. Security Council plus Germany — negotiate a final deal. Those talks are to start Feb. 18 in Vienna. Rouhani and his foreign minister, Mohammad Javad Zarif, have a tough task selling the accord to skeptics. Iran’s hard-liners call the deal a “poisoned chalice,” saying Rouhani made too many concessions in return for too little. Prominent hard-liner Ayatollah Mohammad Taqi Mesbah Yazdi earlier this week accused the president of selling Iran’s “dignity” under the Geneva deal. But Khamenei defended Rouhani and urged critics to be patient and fair. “No more than a few months have passed since the (Rouhani) government took office. Authorities should be given the opportunity to push forward strongly. Critics should show tolerance toward the government,” he said in comments posted on his website, leader.ir. Khamenei’s support is crucial for Rouhani’s diplomatic success in negotiations with the six-nation group. Rouhani has said his countrymen elected him last June to change the country’s foreign policy and shift away from the bombastic style adopted under his predecessor, Mahmoud Ahmadinejad. But he also asserts that the Islamic Republic’s core principles will remain unchanged.